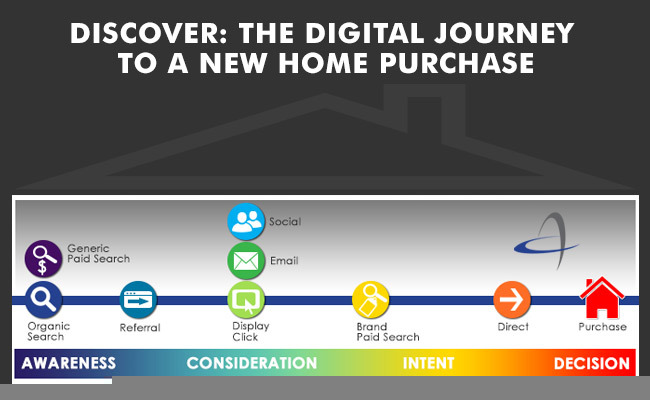 The Digital Journey to a New Home Purchase – Whitepaper | ASTRALCOM - Content Strategy, Conversion Marketing and Customer Acquisition. The Digital Journey to a New Home Purchase – Whitepaper | ASTRALCOM – Content Strategy, Conversion Marketing and Customer Acquisition. We know from research and experience that higher cost items (like a new home purchase) require more content to support a sale, than does a lower cost item. Content is king. Recognizing channel syntax: What channels and when? Defining appropriate content: Which content goes where? By employing the strategies and tactics noted in the document, homebuilders will develop quicker affinity and cultivate deeper engagement with homebuyers throughout the online journey to a new home purchase.